Youngstown State University announced this morning a new agreement with Barnes & Noble College to manage the university’s bookstore, a partnership that could eventually lead to the construction of a standalone Barnes & Noble College store on campus. “It is a pleasure to welcome Barnes & Noble College and its decades of expertise and success in the bookselling business to the YSU campus,” said Neal McNally, vice president for Operations and Finance. McNally said Barnes & Noble College was chosen to manage the bookstore following a national selection process that involved students, faculty and staff. While no firm plans are in place, the partnership may also eventually mean that the bookstore, now located in Kilcawley Center, could move to a new standalone Barnes & Noble College store and café on Fifth Avenue on campus. Meanwhile, Barnes & Noble College, which currently manages 751 campus bookstores nationwide, will manage the existing campus store, which previously was operated by the university. The bookstore is planning a special Freshmen VIP event and open house for later this month. Fall semester classes begin Aug. 24. Competitive prices on a variety of textbook options, including rental, used, digital and new. Affordable solutions for students via close working relationships with faculty and administration. Price Match program, which provides for price matching on textbooks advertised or offered from a local brick-and-mortar bookstore or online retailer (i.e. ,Amazon, or bn.com), but excludes online marketplaces like “other sellers” on Amazon and bn.com Marketplace, as well as peer-to-peer pricing. This is standard in the industry. A bookstore mobile app, providing a convenient mobile platform for students to check and track orders and receive reminders on rental books and special promotional discounts at any time. The ability for the bookstore to deliver custom course packs, custom textbooks and lab manuals, as well as OER content, through its partnership with XanEdu Inc.
FacultyEnlight, a streamlined textbook adoption platform that allows faculty to research and adopt course materials in one convenient location. Gabriella Gessler, executive vice president of YSU Student Government, was a member of the committee that recommended Barnes & Noble. “In early stages of the reviewing process, it was apparent that Barnes & Noble’s priority was to set a precedent of networking and partnership with several cohorts on campus – faculty, students, the library – to assure the strive for creating an optimal experience through their vending,” she said. “Further, understanding what can often stand as burdens on an educational career such as the components of efficiency and affordability, Student Government Association is very eager to continue to develop a relationship with the Barnes & Noble College team to advocate for their services and opportunities, as well as clear communication and programming with students throughout every academic year. Barnes & Noble College, a Barnes & Noble Education company (NYSE:BNED), is a leading operator of college bookstores in the United States. Barnes & Noble College currently operates 751 campus bookstores and the school-branded e-commerce sites for each store, serving more than 5 million college students and faculty nationwide. 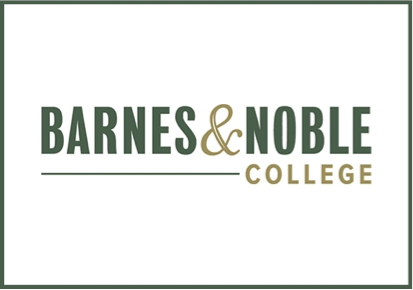 As a strategic partner, Barnes & Noble College is committed to offering a complete support system and an unmatched retail and digital learning experience to foster student success in higher education. General information on Barnes & Noble College can be obtained by visiting the Company’s website: www.bncollege.com. YSU is a comprehensive urban research university that offers nearly 13,000 students more than 135 undergraduate and graduate programs backed by a strong tradition of teaching, scholarship and public service. As a major educational and economic development resource in the region, YSU is known for its focus on academic research and creative programs that transform its students into successful professionals, scholars and leaders. Located in the heart of the Tech Belt between Cleveland and Pittsburgh, YSU provides opportunities for students to actively participate with accomplished faculty, often in one-on-one settings, on advanced research and creative collaborations. The beautiful 145-acre campus includes high-tech classrooms, state-of-the-art labs and performance facilities, a variety of on-campus housing options and recreational facilities among the best in the nation. For more information, visit www.ysu.edu.